Get high covers at extremely low premiums. 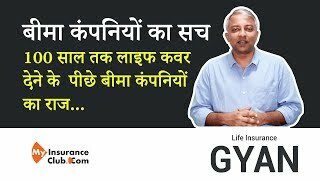 Grow your money steadily & Save Tax. Great way to save money over the longer term. Get money at regular intervals & Save Tax. Protect your child's future with custom plans. Save for Retirement days. Don't depend on others. Plan now for a secure retirement. Grow your money & Get an insurance cover. Flexible plan with scope for high growth. Why Compare Life Insurance with us? There are more than 20 life insurance companies with very different kinds of plans and their corresponding features. Even the premiums for the same benefits can vary hugely. It is difficult to do a comparative study of a large number plans in a simple manner. At MyInsuranceClub, we try to simplify things for you. We compare the annual premiums and the features of the plans from various insurance companies so that you can make an informed decision. 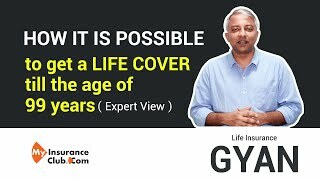 Life insurance is a long term commitment and it important that you get to know the features and benefits of the plans in detail so that there are no surprises later on. Life insurance is a long term plan and your site was very useful in my selection process. The comparison of features & premiums is very good. This is awesome guys. Pretty detailed information which is not easy to find and compare. Agent usually shows only one or two plans. I would like to thank your staff for putting up this useful information on the site. The comparison was easy to understand as was very helpful. I have shown your site to my insuranc agent. He now uses your site for all reference and comparison with other products. Very useful. Nothing is more important to a person than the feeling that their family is financially secure - at all times. Though frightening, the thought that your family will not be financially burdened in case of your un-timely death, gives you and your family some respite to know at all times that YOU have planned for such an event too. Hence it is very important that you get the best life insurance policy for yourself - both in terms of price and features. Life insurance plans can be broadly classified in 2 different ways. This is most common type of life insurance plan. Here the insurance company decides where to invest your money and the policyholder has no control over the same. Companies invest them in low-risk, low-returns kind of options and hence the overall gains will be low to moderate. These plans offer low levels of transparency from an investment angle and the surrender values are usually very low. Invest in these plans only with a long term horizon. It stands for Unit Linked Insurance Plans. Here the investor has complete control of the way their money is invested. He has a choice of buying into high yielding equity funds or stay put with debt funds or even maintain a balanced portfolio. One can constantly monitor the value of your funds and re-allocate funds based on the performance or market conditions. This is a very transparent way of investing and having life insurance at the same time. The surrender values are far better than those offered by traditional plans. These plans are tailor-made keeping your child's future requirements in place. Ideally suited for planning their higher education and expenses like wedding. One can start early and invest regularly to get lumpsum amounts as the child grows older. Some of the plans have features like waiver of premiums in case of something unfortunate happens to the parent. This is the best form of life insurance. For very low premiums these plans offer very high levels of cover. Term plans offer no maturity benefit. Ideally one should have a cover of 15 to 20 times their annual incomes. This plan is strongly recommended for every earning member. These are the typical money back and endowment plans. 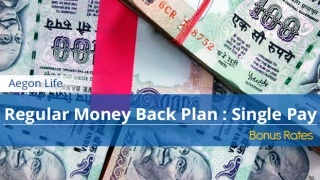 In case of money back plans, you get lumpsum amounts at regular intervals, say every five years. 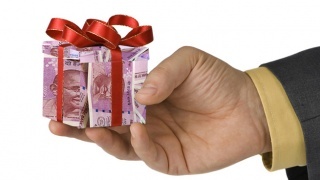 In case of endowment plans, you keep investing regularly and get a lumpsum amount on maturity. These are also called Deferred Annuity plans. Pension plans are great for saving for your retirement age. While you are young and earning well, you invest regularly to build a corpus of funds to be used by you during retirement. You can withdraw one-third of the accumulated amount on vesting and the remainder has to be invested in buying an annuity which will give you regular income for the remainder of your life. This is best used to get regular income on a monthly/quarterly/half yearly or annual basis. 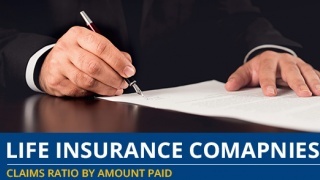 You invest a lumpsum amount and the insurance company pays you a sum at the interval desired by you. You choose to get back the amount invested initially as the payout to the nominee too. Provides for Loss of Income - In case of the policy holder's death, the dependents will suddenly be left without a constant source of income. The future requirements of the dependent members too would be hugely compromised with them having to settle for options which are not as good as you would have wanted if you were around. 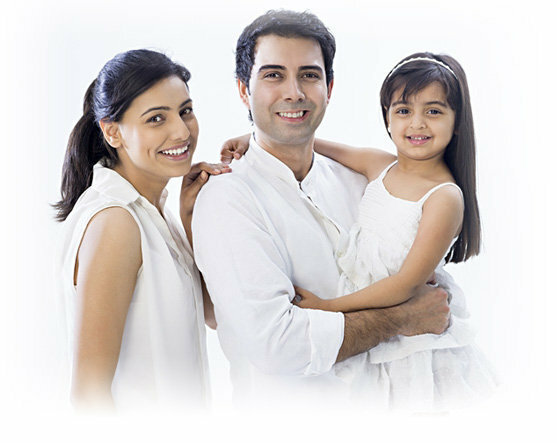 With a good amount of life insurance cover you can ensure that your family is not left high and dry along with emotional trauma of your absence. It is one of the most important reasons for taking a life insurance policy. Life insurance policies can also be taken for sound financial planning depending on your requirements and risk appetite. 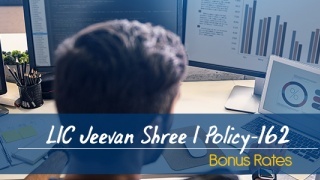 For the conservative investors there are a host of traditional policies like money back insurance policies and endowment plans to provide income to you at regular intervals of time. The more market friendly investors can choose ULIPs (Unit Linked Insurance Plans) to plan their future. There is a higher element of risk involved with ULIPs but the gains too can potentially be on the higher side. Ideally each individual should assess their requirements and choose their investment options and time horizon. In your absence, your family should not have to resort to selling the assets which you accumulated with your hard work. In the event that there is no source of income your family would have to sell assets like land, home, vehicle, jewellery which you had so lovingly purchased. The comforts you wanted to provide to your family should not be taken away from them to make do for their day-to-day living. In case you are adequately ensured, all your loans and your family's financial future would be well taken care of. 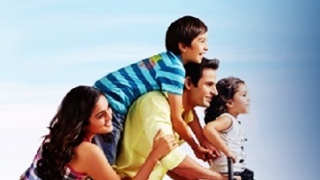 One of the key reasons, people buy life insurance is to avail tax benefits under section 80C up to the limit of Rs. 1,00,000 annually. 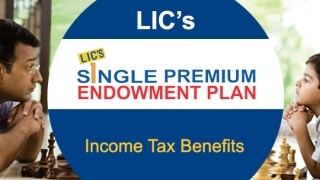 Money paid as premium of Life Insurance policies is exempted from income tax and the proceeds from a life insurance policy on maturity also get tax exemption under section 10(10D) of the income tax.